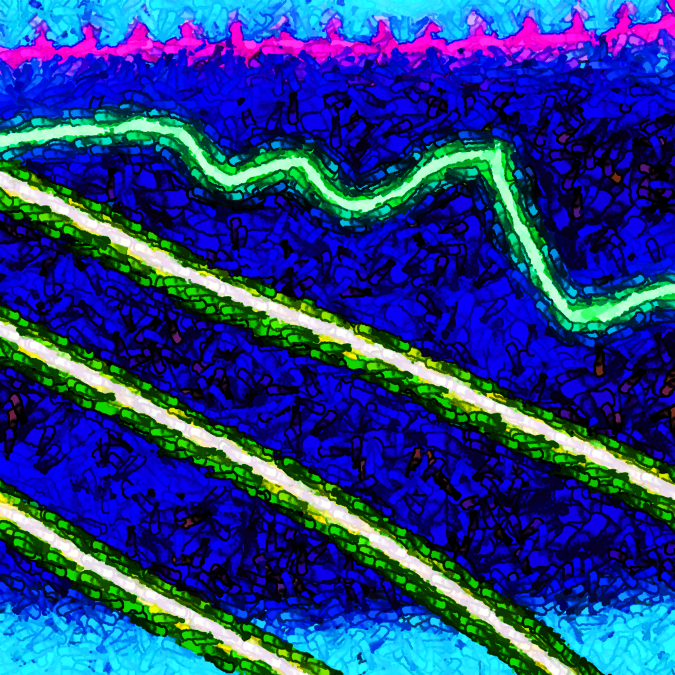 We wrap up abstract month here in Monday Morning Art with “Sky Lines,” yet another digital abstract painting. In case you’re wondering, the answer is “yes.” I do the paintings first, then come up with a name for them. Often the name has nothing to do with my original intent. That’s how this art things works. It’s all basically a crap shoot. Click the image to take a closer look. On Mondays we feature progressive rock on Prognosis at 3 PM, with Harrah’s Hard & Heavy at 5 PM, cool talk with Patrick Felton, Mark Wolfe and the crew at The Empty Glass starts at 7 PM, and at midnight we get strange and disturbing overnight comedy and audio madness.